Sass's scratch triggers surprising Quest finish. What happened? Young Matt Hall cruised toward Fairbanks and the biggest sled dog racing victory of his life on Monday while the Yukon Quest — and its one-time race leader — focused on what a whirlwind this race has been in the last 12 hours. Hall, 25, should be able to sit in Two Rivers, the penultimate checkpoint he reached at 4:29 p.m. Monday. From there, some 70 miles from Fairbanks, he can pick out the time he wants to cross the finish line, most likely a time conducive to spectators. That's a luxury few soon-to-be champions are afforded, but with Hugh Neff roughly eight hours behind, Hall can do as he wishes. How, exactly, did we get here? Clearly, Hall has pulled off an incredible come-from-behind feat and is on that elusive Magic Carpet Ride that mushers rarely experience. What once looked like an inevitable crazy dash to the finish line between Hall, of Two Rivers, and Brent Sass, of Eureka, ended abruptly Sunday night when Sass scratched after pressing his Spot tracker button to summon help. "There's nothing easy about hitting that help button on the tracker. Turns out I know that feeling more than most. "We learned from our mistakes in previous races and set up a schedule that included more rest and shorter runs than any race we'd done in recent memory. Everything went as planned and we had banked tons of rest." But Sass was clearly having issues on the last third of the run from Birch Creek to Central. Based on the tracker that all mushers carry, it seems these issues began after a three-hour rest on the trail. On his way into that camp, Sass had steadily gained on Hall. Things began to go downhill when Sass left his camping spot after a three-hour rest. As his speed dropped considerably, Hall pulled away. "Traveling up that damned Birch Creek, one of my rookie dogs, 3-year-old Healy fell over on his side in midstride without any signs or warnings," Sass wrote. "After wrapping him in my sleeping bag and loading him up, I decided I … would carry him straight to Central to get him to a vet. He was alert and stable. "Twenty minutes later, his brother Caputo did exactly the same thing. I stopped the team and decided to camp there. After three hours of monitoring … I decided to carry them to Central. "One hundred forty pounds of dog in the bag wasn't doing it. We'd have made it, but I wanted the brothers checked out sooner than I could get them there. I hit the button." If Sass was concerned enough about his dogs' health to push his Spot tracker button, it was 100 percent the right decision to make and one I will never second guess. That being said, the many race fans who applauded his decision should do the same for every musher who drops a dog at any checkpoint. What Sass did was no different — only the stakes were higher — and should be treated no differently. Clearly, Sass has had some questionable ends to 1,000-mile races over the last few years. The situation in last year's Iditarod was much more public because his dogs refused to return to the trail at the White Mountain checkpoint, 77 miles from the finish line, forcing Sass to rest an additional 17 hours until his dogs decided they were ready. Now Sass will need to figure out how to curb this downward trend. There was nothing abnormal about Sass's race before it fell apart. A close look at his running and resting times shows he has had significantly more rest than both Hall and Neff, and his longest runs were significantly shorter than both of those teams. In the end, all dog teams are different and one of a musher's biggest jobs is determining the best way to run a collection of animals. The biggest issue I have with the Sass situation is the can of worms that the Yukon Quest has opened with its interpretation of Rule 13, allowing mushers to press their Spot button, hand dogs off to the officials while on the trail and continue racing. I have no issue with pushing your button and having dogs taken to a veterinarian if needed, but your race needs to be over at that point. Sass agrees: "I've always believed that if you hit the botton, your race is over. I appreciate that (race officials) were willing to consider an option that could keep a team in the race, but I couldn't accept it. I was too shook up." 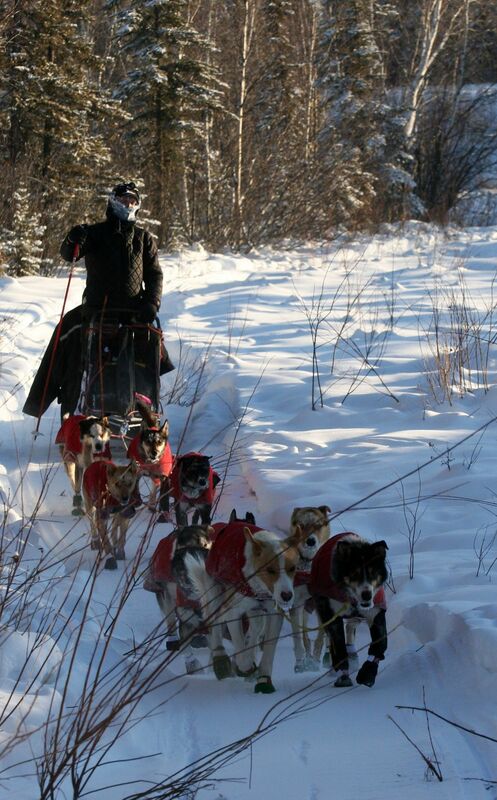 Allowing mushers to continue racing after not being able to bring all their dogs into a checkpoint is absurd. This sends a message that it is OK to take questionable dogs on the trail that should be dropped, because the Quest will come get them and the musher can continue racing. Finally, the notion that having tired or hurt dogs removed from your sled and not needing to carry them is clearly a competitive advantage, and it's ludicrous. I truly hope the Yukon Quest rethinks its interpretation of Rule 13. For Sass's part, some serious evaluation of his kennel before the March 4 start of the Iditarod awaits. "Everyone who follows my kennel knows that Healy and Caputo's father, a Golden Harness winner, died suddenly and unexpectedly not too long ago. I often carry Basin's collar on my sled, he's tattooed to my chest, and his name tag is sewn to the hook of my jacket. "When I saw his boys crash like that, I feared the worst. I'm thankful that they're happy and healthy today! I don't know what to think about what looks like some sort of genetic issue and the future careers of these boys and their siblings. We have a lot to figure out … "
Many Yukon Quest watchers contend the race typically ends 24 hours after the race leader leaves the Mile 101 checkpoint. Matt Hall left at 9 a.m. Monday with 10 dogs. He reached Two Rivers, the last checkpoint before the finish line, at 4:29 p.m.
After a mandatory eight-hour rest there, he'll begin the final 73-mile stretch from Two River to Fairbanks. Jake Berkowitz is a three-time Iditarod finisher, including an eighth-place finish in 2013, when he was awarded the Alaska Airlines Leonhard Seppala Humanitarian Award. He has finished the Yukon Quest twice, both times in fourth place, and won the Rookie of the Year award in 2012. Look for his commentaries daily during the Iditarod. Jake Berkowitz is a three-time Iditarod finisher with an eighth-place finish in 2013, when he was awarded the Leonhard Seppala Humanitarian Award. This is his fourth year of Iditarod commentary for the Anchorage Daily News and adn.com.